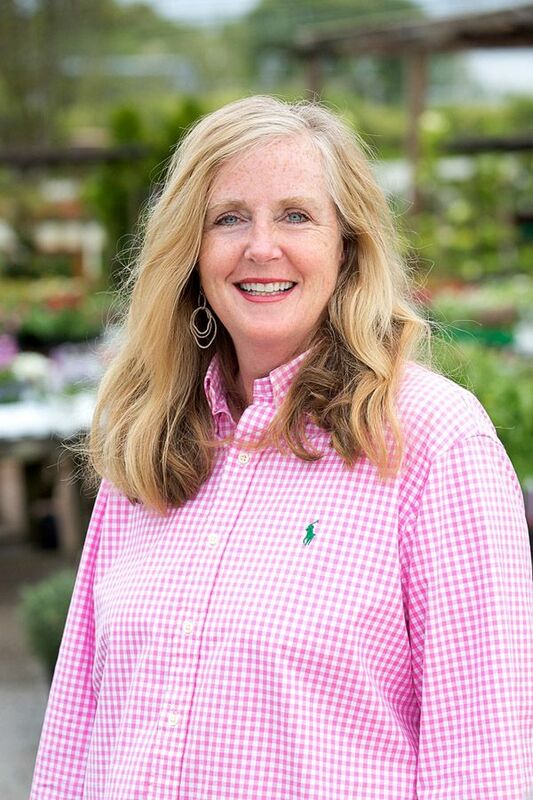 Millstone Market & Nursery provides a wide range of services to a community of garden enthusiasts throughout the Mid-South region. We offer an eclectic collection of fine cast-stone garden containers, fountains, outdoor and indoor furnishings and accessories, greenhouse services and floral design. Our full-time designers have a creative vision and the ability to bring that vision to your indoor and outdoor spaces. Our nursery is stocked with a large selection of trees and shrubs, annuals and perennials, as well as indoor and outdoor specialty and specimen plants. Many of our customers tell us that we have a wonderful selection of plants that are rare or difficult to find. Millstone Market and Nursery can help you enhance your property’s potential with the resources we have at our fingertips. Come for a visit and experience what many people have deemed their "Happy Place"! Tricia Hunt started her gardening career over 25 years ago hand finishing ornamental cast stone containers from a space in her garage. As her skills grew so did her customer base and she assisted with all types of plant designs and installations for container gardening. With determination and creativity, she began to specialize in the design and installation of hard and soft-scapes, utilizing containers, statuary and fountains. Her patented finishing patinas are now used by Campania, the nation's leading supplier of cast stone statuary and containers. 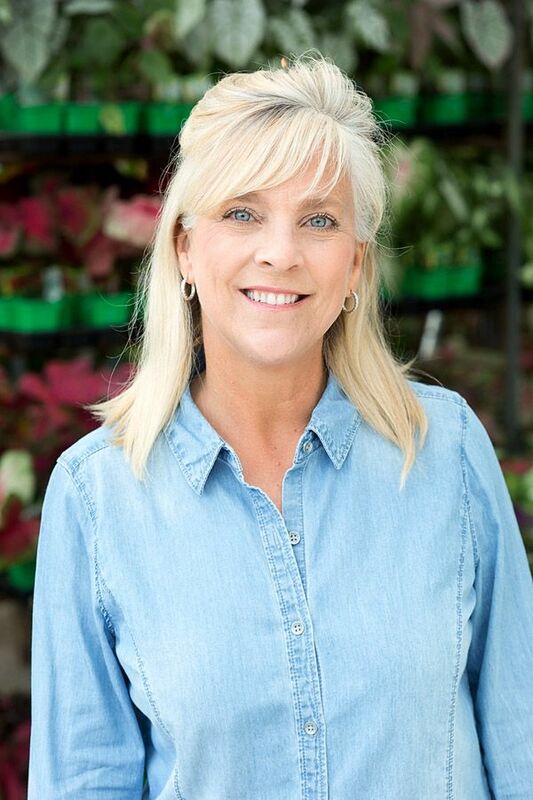 The owner of Millstone Market and Nursery, Tricia has a talent for finding unusual, eclectic and traditional merchandise featured in the Millstone gift shop. As the buyer, she concentrates on unique home and garden accessories and containers as well as antique furnishings. Tricia is married to Dade Hunt and they have three children and three grandchildren. Jeannie has exquisite vision for container arrangements for the indoors and out. You can find her in the greenhouse at her potting table where she creates custom designs, or at the "Arrangement Bar", where customers pick up their finished product. She is also busy merchandising and helping customers choose from our year-round selection of houseplants in all sizes. In her years at Millstone, Jeannie has honed her skills and talents with plant material and has created hundreds of beautiful arrangements. Jeannie has three children that have made her extremely proud due to their many achievements Her oldest son is in Law School and is engaged to be married. Her daughter will graduate soon as a CPA, and her youngest son plays football at the University of Memphis. 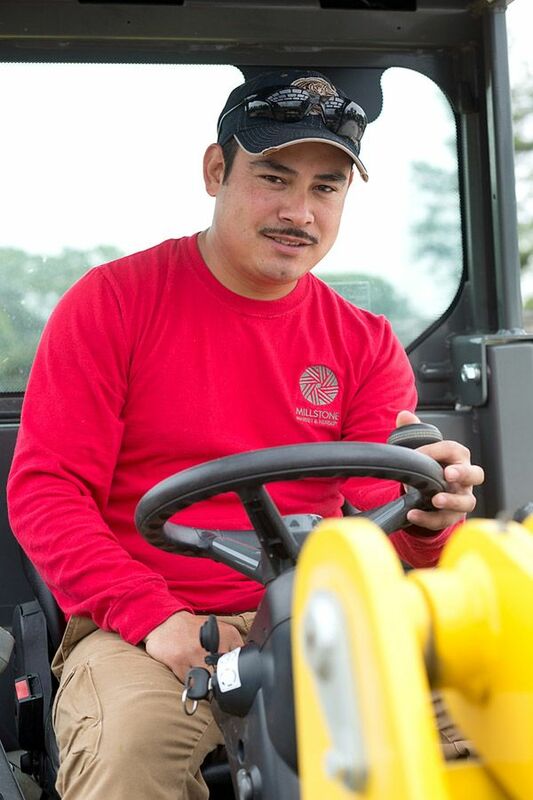 Rodrigo is an invaluable member of the Millstone team due to his loyalty and work ethic. His main duties include maintaining the property, equipment, irrigation and nursery structures. But anyone who knows Rodrigo, knows that he goes above and beyond his job description daily and is always ready to help with any project or task. An even more impressive quality Rodrigo possesses is that as a husband and a father of two girls, he is surrounded by females at work and home and he never complains! Andrew Allen has the distinct pleasure of being a life-long Memphian and is very proud to boast of that. Andrew is the nursery manager at Millstone Market & Nursery and his love of all types of plants and trees come to him very honestly. Andrew’s great-grandfather and his family before owned and operated a nursery back in the late 1800’s in Middle Tennessee for many years. Growing up as a child his grandfather and father both passed on a great passion for gardening that Andrew quickly took to. By an early age he was “helping” and working alongside his father in the yard and soon mastered the art of cutting the perfect lawn. Andrew has never really found a plant he doesn’t like but will tell you that he has an overwhelming fondness of boxwood and azaleas, a favorite of his great-grandmother, not to mention many other flowering shrubs and trees. Once in the workforce Andrew’s first job was with an old Memphis landscape company where he really began to sharpen and hone his skills for landscape and what plants thrive here in the mid-south’s heat and humidity. 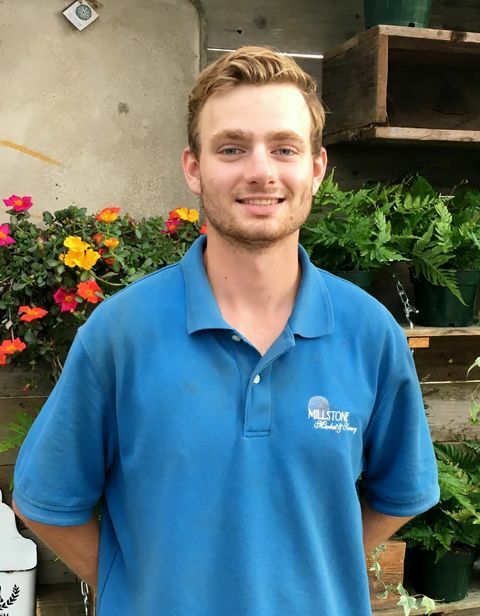 After 8 years of hard work, dedication and proving his honesty and integrity as well as knowledge of plants and materials, Andrew made the choice to join Memphis’ premier nursery and landscape company at Millstone in 2018. Andrew is excited to start a new chapter in his life with a proven team of co-workers that are second to none. He graduated and earned a degree in business management from Southwest. He is an avid golfer, when there is time, and a life long member of Christ United Methodist Church. 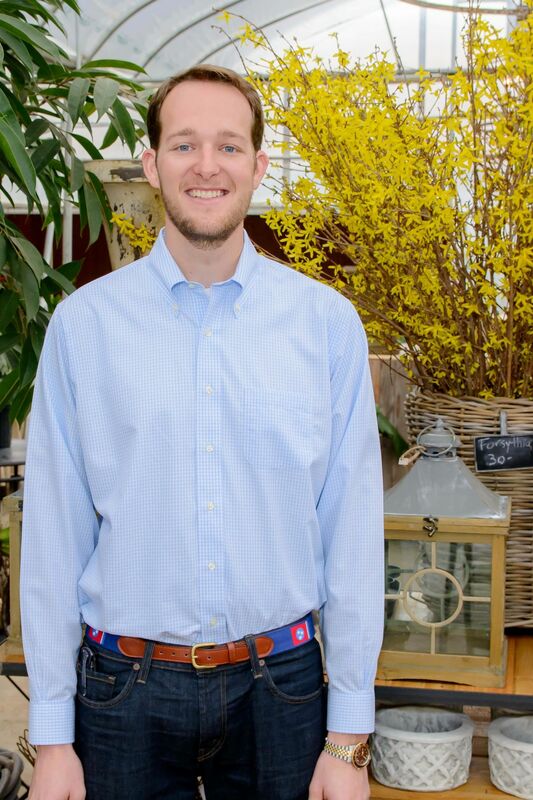 At 6’6” it will be easy to spot Andrew out in the lot tending to all the plants and making sure your experience here is not only fun but memorable as well. Feel free to stop by and meet Andrew and bring with you any questions or plant issues as he is always willing to help and to be your personal plant specialist. Colin Winton is a native Memphian and has worked at Millstone Market & Nursery for over two years. He has done everything from watering, planting, delivering, and helping customers find the perfect plant. You may see him driving around town in the Millstone vehicles, or smiling in the nursery with a willingness to help. His positive attitude and ability to listen with patience are what makes him a wonderful employee with fantastic customer service. Make sure you say hi to Colin the next time you visit!